The Scoop: This Week In Yu-Gi-Oh! You are here: Home / The Scoop: This Week In Yu-Gi-Oh! Hello again everyone and welcome back to The Scoop! The realest Yu-Gi-Oh! News Report on the net right here on ARG! It was a light week in the game for the Americas, as all that really happened were a few Regionals across the country. In Bogota, Colombia, however we had YCS Columbia going on with America's own Barrett Keys taking home YET ANOTHER championship! So first things first, congratulations to him and the other American players that made the top cut, including Tahmid Zaman and Ankit Shah! Without further ado, let's get into what we've seen and learned this week in Yu-Gi-Oh! 1.) Observe some of the changes in the meta and get information about card choices going forward to provide to you all. 2.) Watch the development of players in relation to those changes. One of the things I noticed was that some people were just following the hype and blindly playing Solemn Scolding with no theory or intelligent thought process behind it; and the fact of the matter is that this method of deck building is absolutely incorrect. When you copy a list from another player, you must adopt their theories behind their choices and understand their ideal interactions. This is something most players are not capable of and because of that, they met their downfall at the hands of their own Solemn Scolding. So what do I mean when I say it takes work? I mean that you can't just throw it into your currently existing build without understanding what that entails for the way that you play. What did players do with it? They inserted a trio of Solemn's while also continuing to main deck cards like Vanity's Emptiness, which is what professionals would call a "conflict of interest". In Tahmid Zaman's deck profile(Which can be found here), he explained his theory behind playing Solemn Scolding, in that he removed Vanity's Emptiness and upped his count of hand traps so that going second in the mirror match, he can prevent the Djinn lock and set up his own board, followed up by an impenetrable Solemn Scolding play(barring removal, of course). And other players had their own reasons behind playing it how they play it. Why was what other players did incorrect? Because they blindly copied and didn't evolve their thinking around their changes. Holding an Emptiness and a Scolding puts you at a conflict and gives you a dead card in hand, which cannot be afforded in the mirror match, as every card has significant value, and a hand trap in place of said Emptiness would provide much more in terms of protection and overall value. In addition, I observed players consistently flip the card in the wrong scenarios, and proceed to lose the game in the very same turn. What's the scoop? Exactly what I initially assumed. Solemn Scolding takes work. Do Shaddolls Still Demand Attention? We saw Shaddolls make a bit of noise at YCS Chicago, and with their ability to main deck one of the best floodgates of the format, Mistake, they are again a deck that can compete. 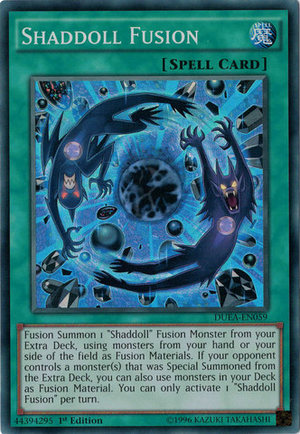 But with Nekroz rarely leaving extra deck monsters on the board, would they be consistent enough to continuously apply pressure on the board without free fusions? I wasn't completely sold on the idea that they were good enough against Nekroz to warrant much attention. So I chose to not main or side deck any cards that directly affect them and the way they attempt to play the game. I did, however, choose to respect the legitimacy of Mistake, and main decked two copies of Mystical Space Typhoon in addition to the two copies of Royal Decree I was playing, which will be explained later. I played them a couple of times, with one of my two losses coming to a Shaddoll deck by way of my own error(Foregoing putting 8000 on the board for fear of Veiler and me having to leave an extra deck monster on board). They didn't consistently apply pressure to the board unless they got their fusions going and had backup with Veiler/Traps and couldn't possibly keep up with Nekroz without Mistake on the board. The Scoop: So do they still demand attention? Possibly more if you're playing decks like Satellarknights that use the Extra Deck more often. Nekroz don't really have to respect their pressure, they do, however, have to respect Mistake. How Good Are Star Seraphs? I saw this insane interaction happen one too many times and every time I did, that player was on the cusp of extending the "Good game" hand shake. 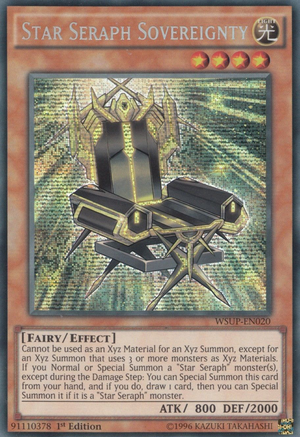 For those who are less familiar with the Yugi-slang of stick and chair, they are player slang for Star Seraph Scepter(stick) and Star Seraph Sovereignty(chair). They made their first splash into the game this weekend and players were trying them in both Shaddolls and Satellarknights, the more successful of the two being the latter. They allow the player to accumulate incredible hand advantage, board presence, and tempo. Their value cannot be understated. They made some top 8 appearances in Regional Qualifiers but after playing them a few times in my own experience, they were underwhelming. I easily handled both Star Seraph Tellarknight players as they were oft times unable to make what I would consider "perfect scenario plays" which is kind of what the deck attempts to do. It wants to have the right combination of monsters and traps, without contention, to establish presence and build advantage. The idea is great, but in reality it just can't always happen that way. 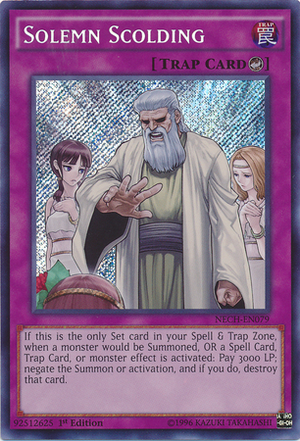 Holding just two Star Seraph monsters with Oasis of Dragon Souls and Satellarnova Alpha won't provide the protection the deck needs from Nekroz and even Shaddolls. So what's the scoop? When they're on, they're nearly impossible to beat. When they're not on, or even halfway there, they're basically a pushover. This is the very unorthodox deck I played at Madison Regionals. I played a lot of cards just to test them and see how they acted in the current meta. Most of them were from the mirror match as I sided a different set of cards every time I played the Mirror. 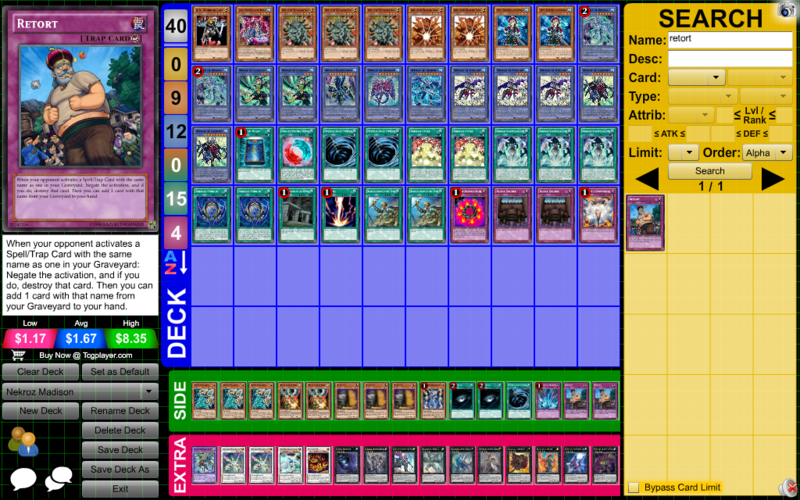 The only mirror I did lose was to my good friend Matthew Chasteen, due to not drawing an out to Djinn game 1 and game 2 I made an extra deck monster not paying attention to Unicore being on the field(Mistakes mistakes!). Other than that, everything was about how I expected with the best cards being Lancea and Maxx "C". Retort was somewhat weird, albeit very fun and useful when it was live. It generally meant winning the game the next turn, as shutting down a summon for the turn is huge in the mirror match. I'm not sure exactly how great it would be over the course of 11 rounds, so I'm not exactly sold on it. By all means give it a try if you'd like, though! If you have any questions, feel free to post them in the comments and I promise I'll answer them all! That's it for The Scoop guys, stay tuned as we cover some of the most pressing topics and new happenings in the game every week! Until next time, Play Hard or Go Home!